Look here for comedy in the Netherlands. 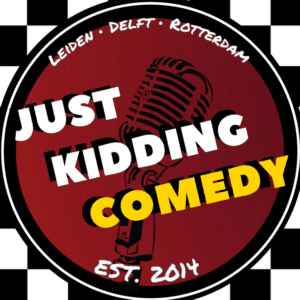 All English Pro Stand-up show once a month in the fabulous city of Leiden! 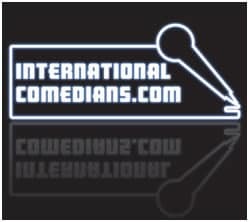 Bringing international professional touring comics from around the globe once a month in the center of town. Advance ticket purchase discounts and student discounts available. 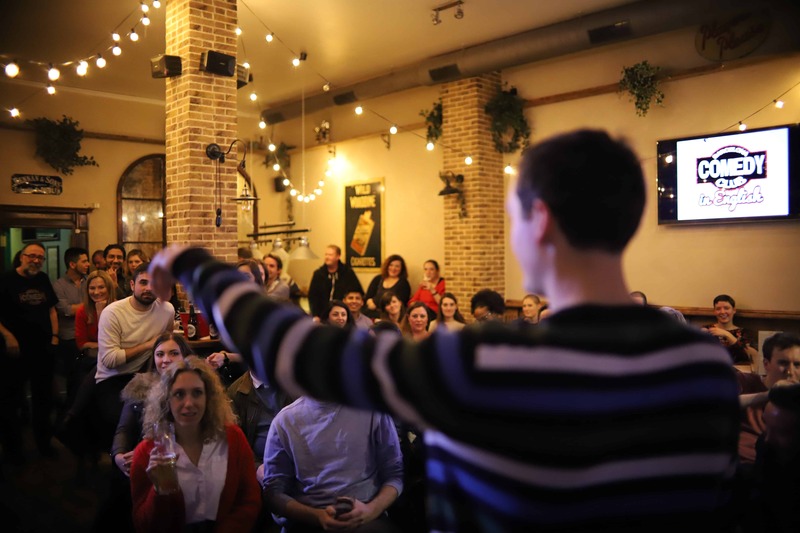 Amsterdam’s highest-rated comedy show on TripAdvisor takes to the stage at Boom Chicago. Welcoming foreign dignitaries from the international stand-up community, The Comedy Embassy has become the home of English-language comedy in the Netherlands. Four to six diverse acts perform every show. So bring a friend, grab a drink and enjoy the show. No passport required! EMC’s Stand-up Cellar gives everyone an opportunity to perform alongside regular international comedians – at a FREE Open Mic show in English! WANT TO PERFORM? Write “Spot” in the event discussion, share the event on your page (mandatory! ), be there no later than 15 mins before the show (20:45) to sign up with the host. !! 10 SPOTS AVAILABLE !! Bring some friends to watch you! Entrance: FREE. There is a bucket for voluntary contribution at the end. 1) Prosto Café is located at Starovagankovsky per. 19/3, it’s not easy to find for the first time, so please find detailed directions IN THE PINNED POST. 2) The bar DOES NOT ACCEPT CREDIT CARDS, just cash/bank transfer. 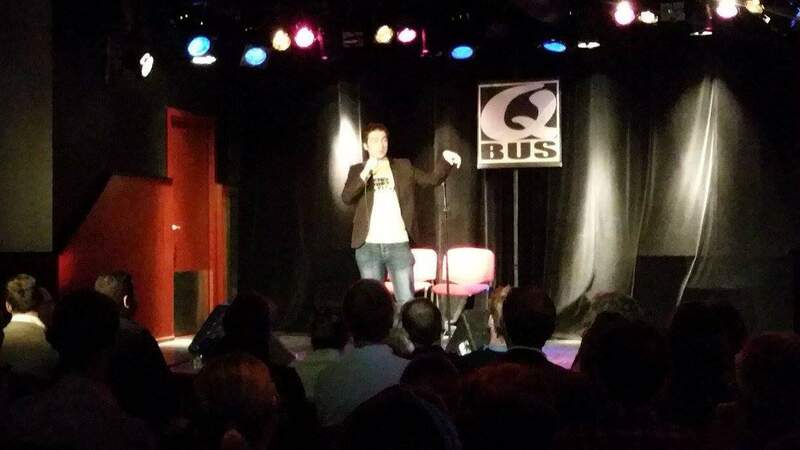 Amsterdam’s highest-rated comedy show on TripAdvisor takes to the stage at Boom Chicago! Welcoming foreign dignitaries from the international stand-up community, The Comedy Embassy has become the home of English-language comedy in the Netherlands. Four to six diverse acts perform every show. So bring a friend, grab a drink and enjoy the show. No passport required! 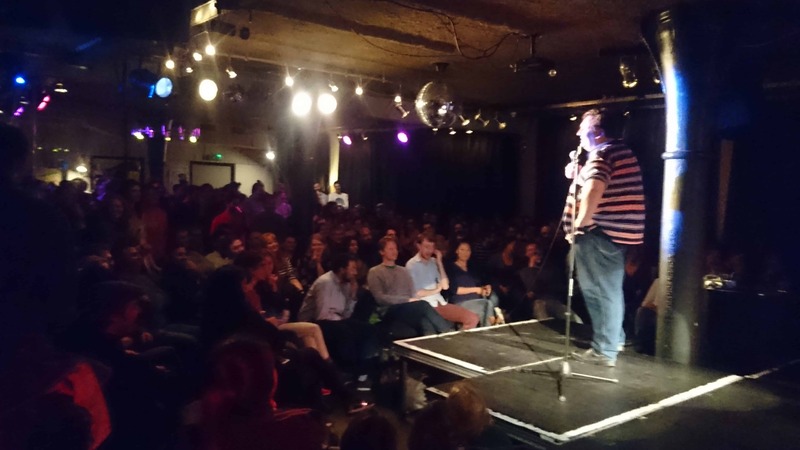 Amsterdam’s highest-rated comedy show on TripAdvisor takes to the stage at the Comedy Cafe. 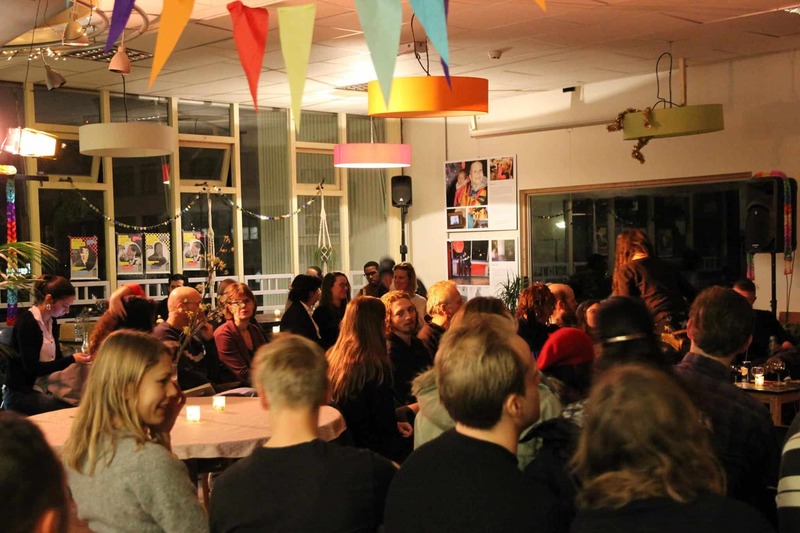 Welcoming foreign dignitaries from the international stand-up community, The Comedy Embassy has become the home of English-language comedy in the Netherlands. Four to six diverse acts perform every show. So bring a friend, grab a drink and enjoy the show. No passport required! We’re doing something ultra-crazy, and we want to bright-up all of your Mondays. 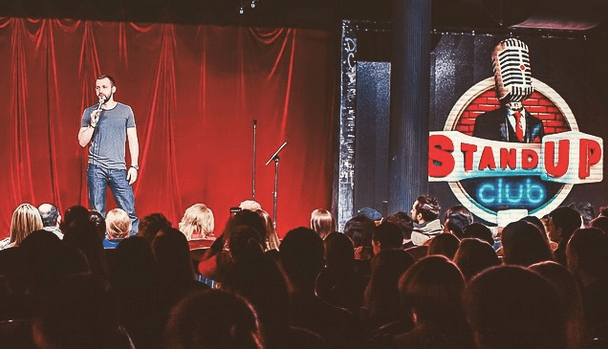 The format still stays the same – Professional and experienced comedians try new jokes, and the stage is open to anyone looking to cross doing stand-up off their bucket list or to impress their friends. It doesn’t matter where you’re from. If you speak english, we’ll give you 5 minutes on stage plus a free beer. Priority is given to first timers, and if you have any questions before the show just send us a message. Sign up by writing “Spot Please!” in the comments section of the event. P.S. Some Open-Mic’s might be experimental, so keep your eyes peeled for those special ones. 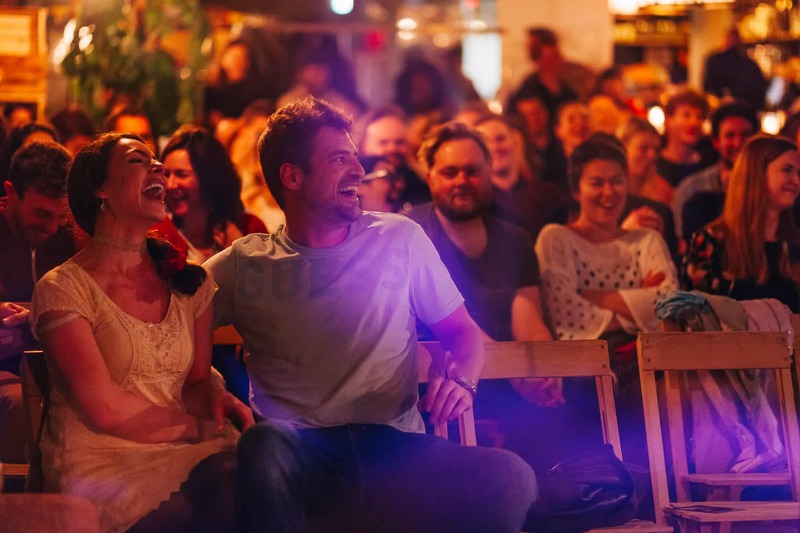 Please join us for an amazing English comedy show in Berlin every Monday, Thursday and (almost) every Friday & Saturday night, featuring some of our favorite comedians from Berlin and some amazing international guests. We have many packages available for your group including private shows that are possible for your group, please get in touch for more information. Come to watch experienced comedians as well as potential new comedy stars testing their material on stage! It’s an open mic, so you can come and perform yourself! If you want to participate: SHARE THIS EVENT (obligatory), come before the show, sign up with the host and go on stage! Try yourself, it’s always fun. Each first-timer on the stand-up stage gets a free beer. Everybody’s got 5 minutes and 5 minutes only. If you exceed your time – music will start playing. Dear people and aliens, welcome to Barcelona Comedy Club - English. 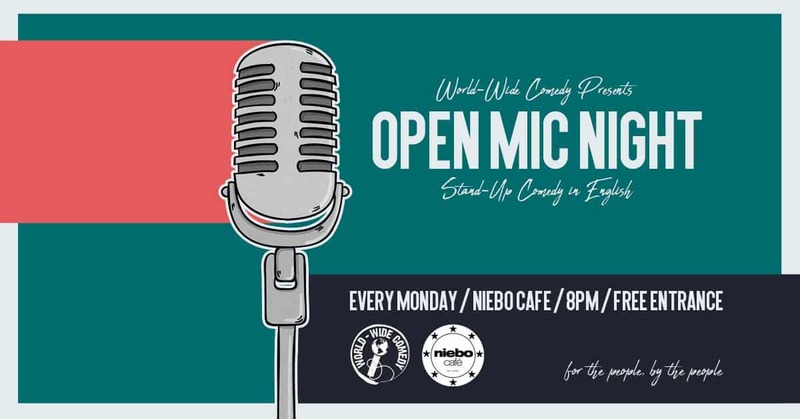 Don't miss our Stand Up Comedy (open mic)! 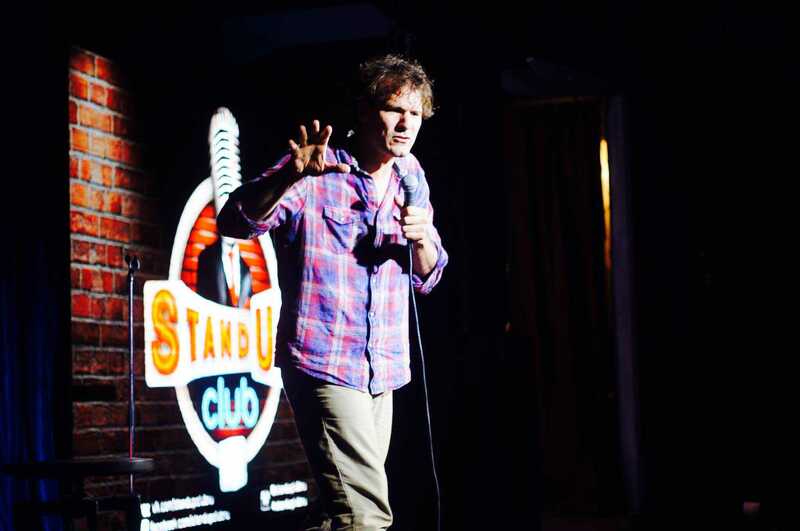 Dear people and aliens, welcome to Barcelona Comedy Club – English. Don’t miss our Stand Up Comedy (open mic)! New Zealand, Canada, England, USA… Humor and comedy is universal. Everyone all over the world wants to laugh! 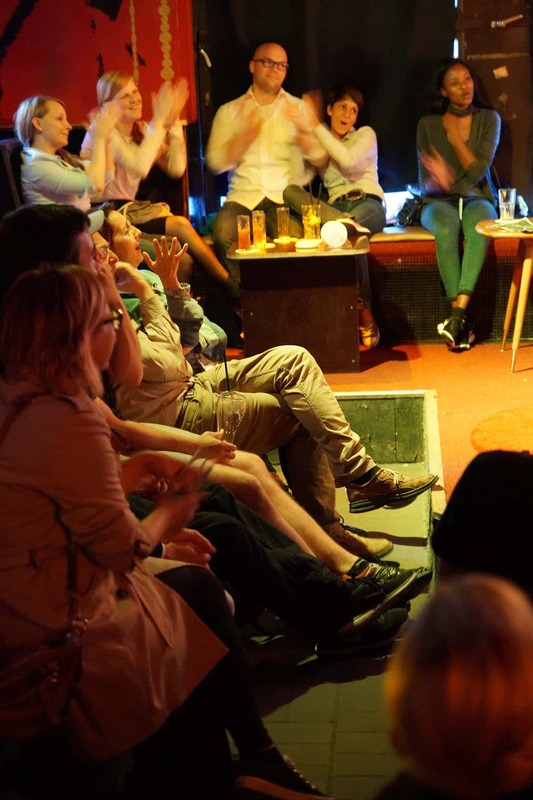 All that intercontinental comedy we collect and show in Comedy Cafe Amsterdam. A hilarious evening, laughter till you can’t stop and for every nationality, laugh about Dutch culture or the funniest universal observations. 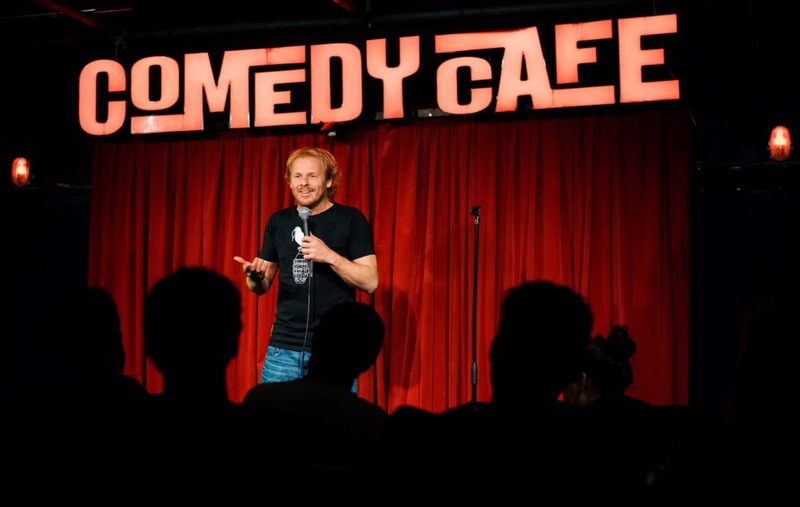 Comedians from all over the world perform in Comedy Cafe Amsterdam to give you a night you can’t forget. 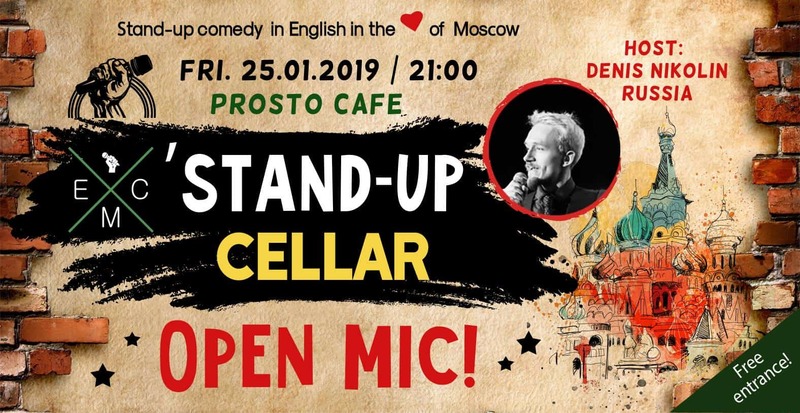 Welcome to Russia’s FIRST EVER dedicated comedy club! 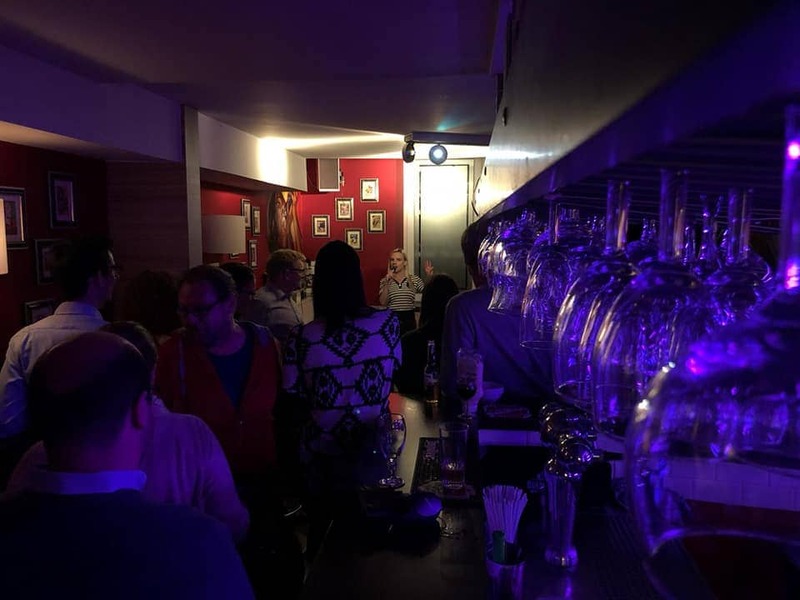 Come and enjoy Luxembourg Comedy’s showcase pro stand-up comedy shows in a cool & fun setting – who knows what will happen! Awesome shows this season at Marionnette in central Luxembourg. Showtime: 21.15, comedy room opens from 1900 for eating guests, and 20,00 for non-eating guests. Comedy alert! On Wednesday 1st Ken Parsons presents another great editon of The Ironic Curtain Comedy Club. It is a friendly open stage for both pros trying new material up and coming comedians so come and see the comedy stars of tomorrow! 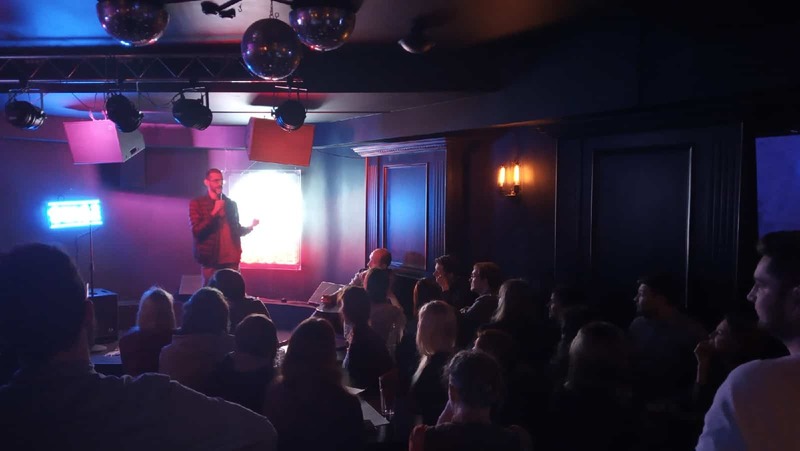 The show is entirely in English and first set starts at 8pm sharp so get there in time for a drink at the one of the coolest bars in town: CheckPointCharlie! This is a free show but donations to the legendary ‘Hat of Justice’ are much appreciated! So Ironic Curtain Comedy Club, Wednesday 1st May at Checkpoint Charlie, Nassaukade 48, Westerpark ! THE ENGLISH STAND UP COMEDY NIGHT! The best Comedy Club in Cologne is presenting this special show for all lovers of real english and american StandUp-Comedy. For all you expats, foreigners, native tonguers, lovers, haters or even Germans – this is the place to be to get your laughs! 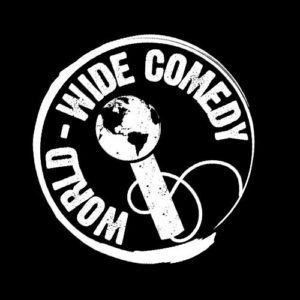 International Comedy Guests, usually about 5 stand up comics, will present their freshest material. You get a great 2 hour show in this great location – and after the show you can stay all night to party, chat, socialise and drink. You can always find the line up at https://manuelwolff.de/boing/ – but no guarantee, changes in line up always possible on short notice. Bring a friend!! Tell a friend!! Pay a group of passers by to be your friends!!!! If you have no friends or no money…bring yourself!!!! Come and join us in the basement at the funky monkey as Insecure et Dangereux enters 2019!!!! Ria Lina is headlining our fantastic Int. Stand Up Club in Stavanger(03/05) and Bryne (02/05) Norway. More acts to be announced! Ria Lina is headlining our fantastic Int. Stand Up Club in Stavanger(03/05) and Bryne (02/05) Norway. There will be a great support line-up too with two extra acts from the Berlin comedy circuit and up and coming local acts. Nutty Anita’s is entirely in English and the first set starts at 9pm so get there in time for a drink and a bite too! 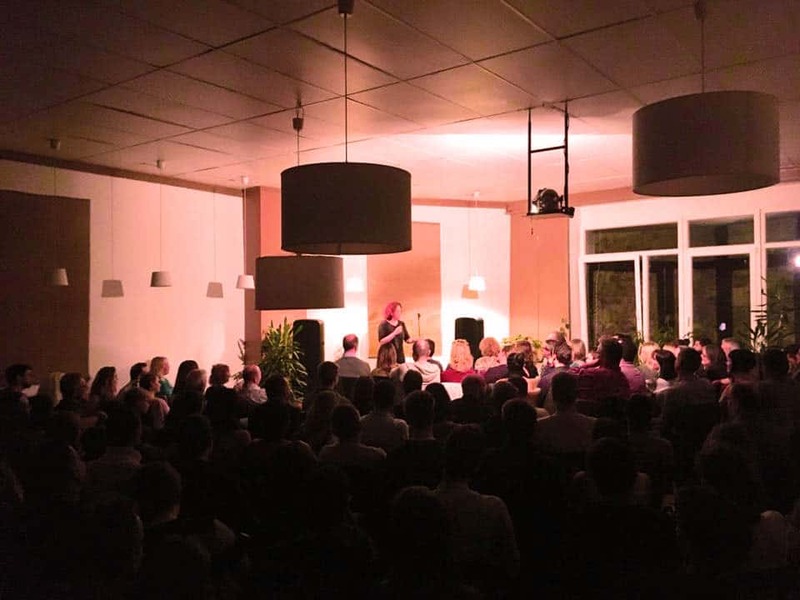 Entrance for Nutty Anita’s comedy night is a mere 7 Euros and 5 Euros for students. Tickets on the door but best to get them online via the facebook page! So; Nutty Anita’s Comedy Night! Thursday 2nd May 9pm at De Nieuwe Anita in Oud West. Featuring some of the best English-speaking comedians in Holland, visiting acts, up-and-coming talents and homemade soup! DAAAA! (That means YESSSS!!!) 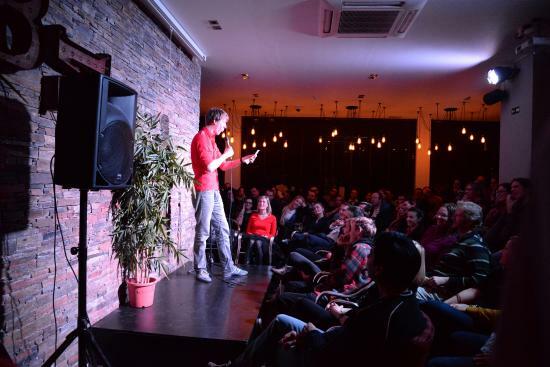 Welcome to Russia’s FIRST EVER dedicated comedy club! The opening of which was a cultural event up there with accepting Christianity from the Byzantines or at the very least; the fall of the Berlin wall. Wouldn’t you agree? 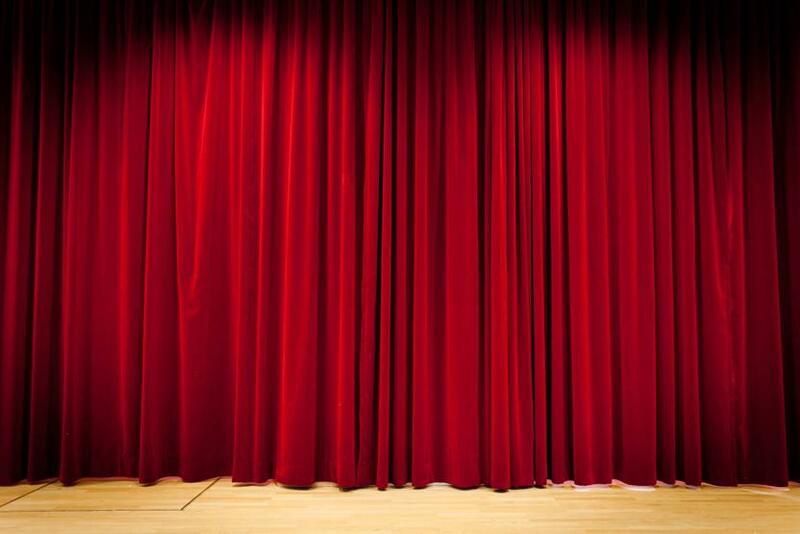 Join us – right in the centre of town – in our plush, funky room for an evening of laughter with a cast of international performers – most of whom are regulars on TV and radio. Comics passing through are welcome with a clip. We’re a family. The finest stand-up night that Brussels has to offer, a double bill of only top notch international comedians, like Stephen Carlin, Glenn Wool and Dane Baptiste, hosted at the lovely Black Sheep in Flagey.